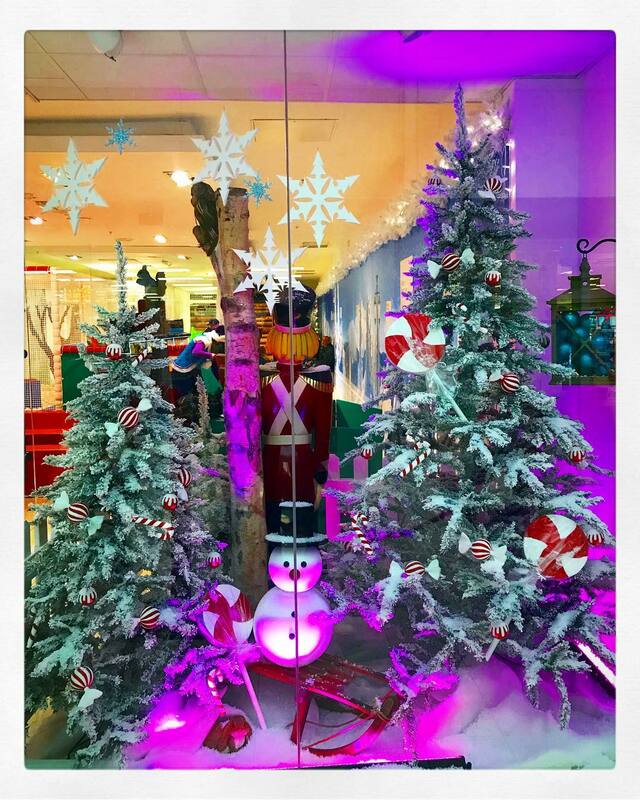 Looking for inspiration for your shop window this Christmas? We have put together an ultimate guide for inspirational Christmas window displays that won’t cost the earth and are feasible for you to create yourself. 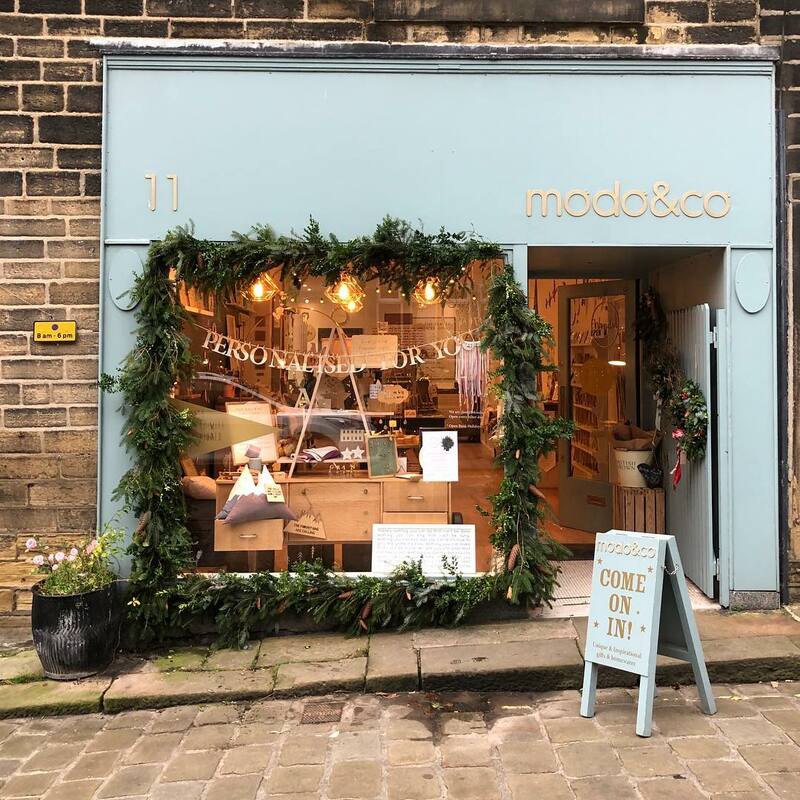 Christmas Window Displays – Why go for it? The competition on the high street improves year on year. It’s the one time consumers should embrace the fact that we still have high street shopping especially with so many people shopping online. Making your shop window look amazing for the Christmas period is key to keeping the high street alive and thriving. On the one hand, consumers don’t want to lose the high street, but on the other, they need a lot of persuasions to get up and go out shopping on their local high street – even if it is Christmas! There is hope, however, with the likes of Visa backing a campaign to persuade shoppers to shop local with their #keepitlocal TV and online advertising campaign seemingly hitting to the right note with many business and retail shop owners. Modern lettering and calligraphy by Jenni Cabrelli. 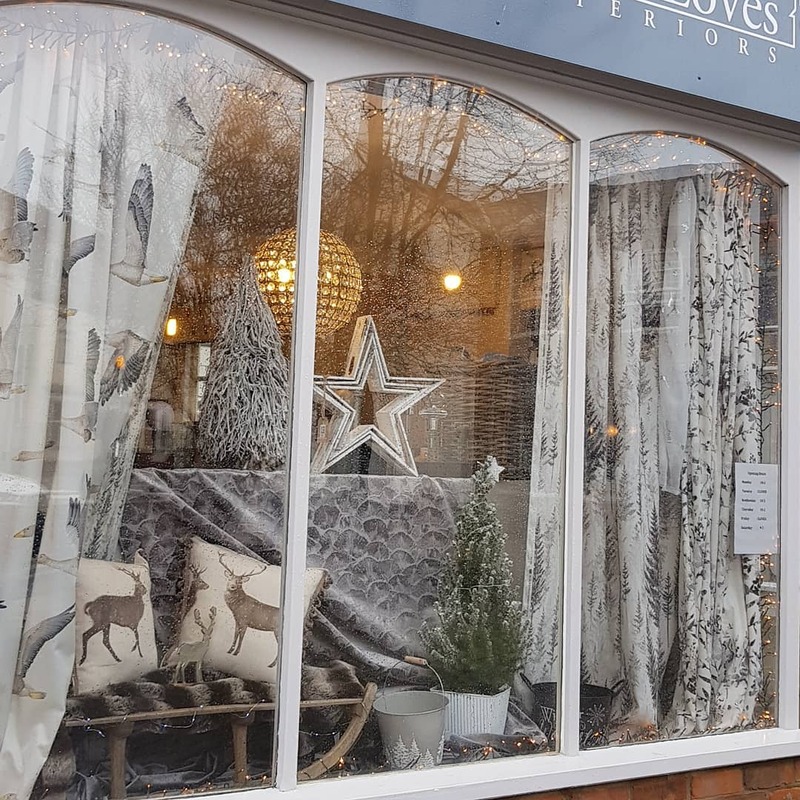 So whether you are not the creative type or you have a degree in window display we thought we could offer a little inspiration with a selection of Christmas window displays for your shop window. Hopefully, this post will serve you with some yuletide inspiration for those Xmas window displays! 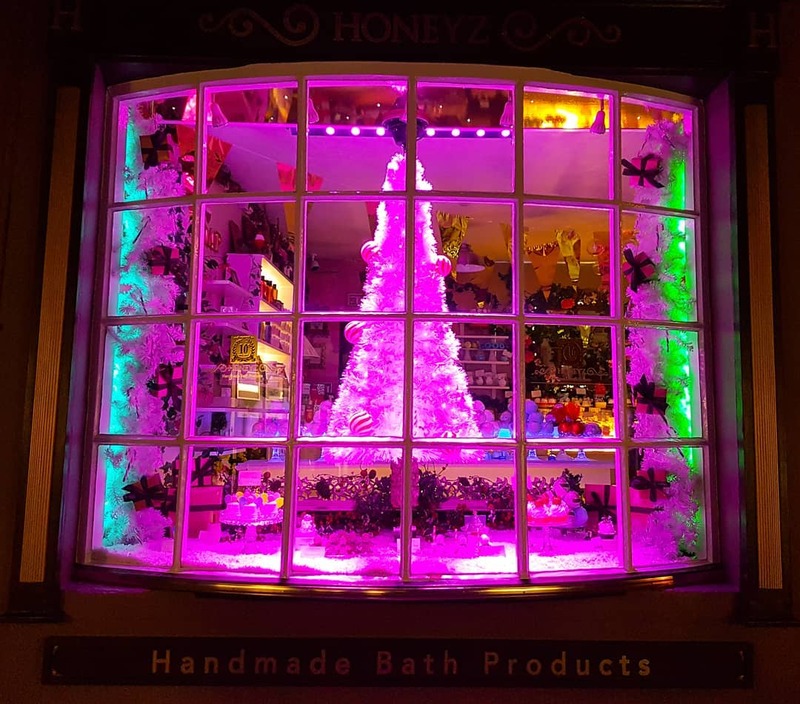 Honeyz Bath products used a simple display with warm, festive lighting which draws you in. A great idea is to use props. You can quickly create an Xmas display by using basic things without it looking too cheesy and without it being an expensive chore. Remember any props you use should be there as a backdrop rather than a focal point. Your products still need to take centre stage, urging the customer to come inside to find out more. Christmas Window display in Derby. Be creative. Be resourceful. Real sprigs of Holly, dotted around the product, try some beach wood – ideal for creating rustic shelving for product placement, miniature Christmas trees, fake snow and snowflakes (a five-litre bag of fake snow costs roughly £7 on Amazon). Try using artificial snow spray and window stickers – again a relatively cheap buy on Amazon to add a festive halo around the edges of your window. Garden centres are another great place to find inspiration. Many have amazing lights and grotto features that would make any shop window dazzle. Look for props at the garden centre too – check their outdoor area for any larger items that could offer options for displaying your products. Ali Carrot Soft Furnishings Christmas window display. 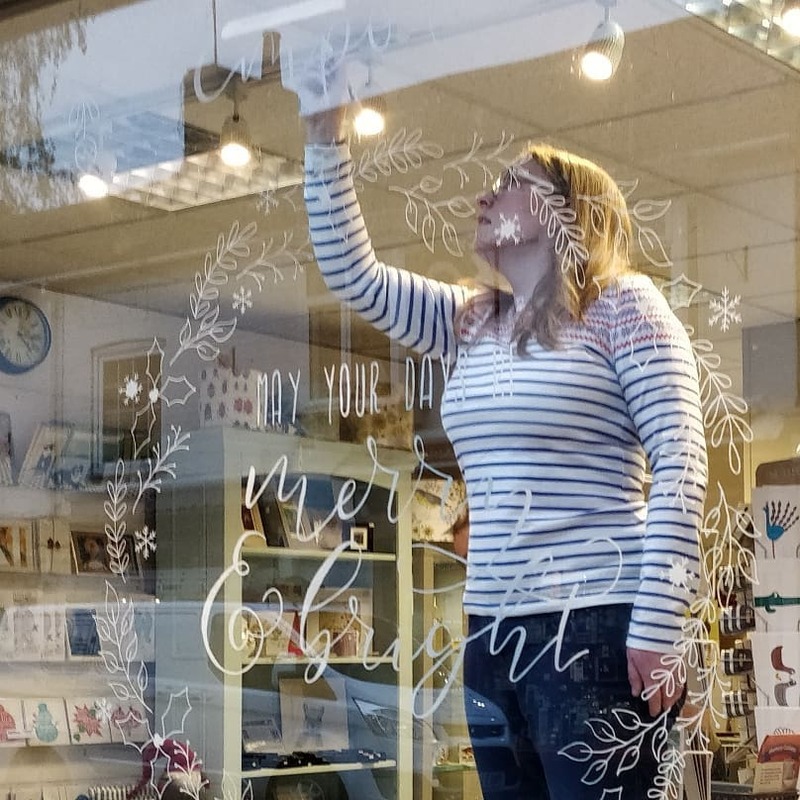 There are many ideas available for Christmas window displays so we have created a selection which should be cost effective to create and hopefully make the impact you want. Modo&Co takes it outside for a feeling of looking through a forest. How about this for a great idea from the local Council. A Xmas window design competition. This would certainly inspire businesses to go for it especially when each store front gets to feature on social media. And the below – such a stylish festive display.